I’m still working on my porch and needed something for my door. 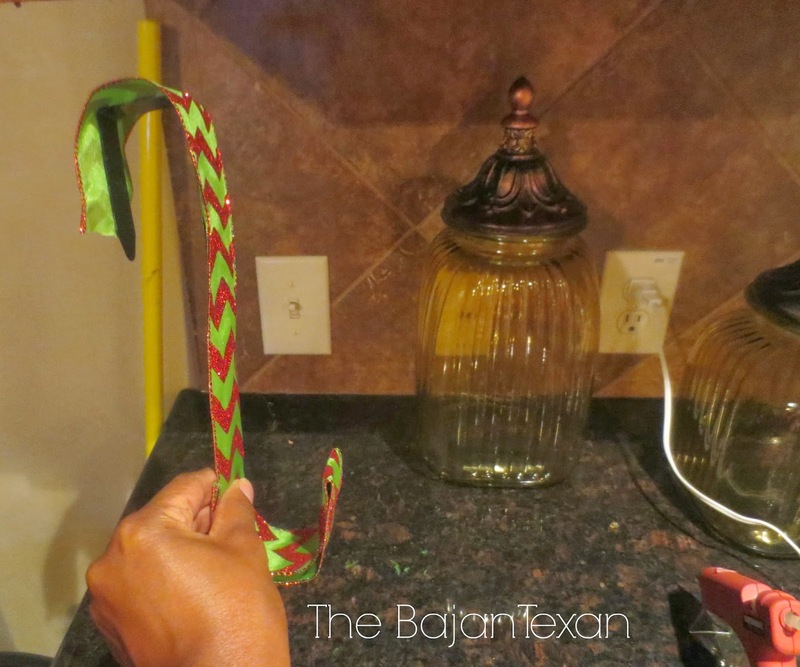 With all the mesh ribbon surrounding the door with the beautiful holiday garland (see how to DIY here) I was thinking a DIY Christmas wreath with more mesh ribbon might be too much. 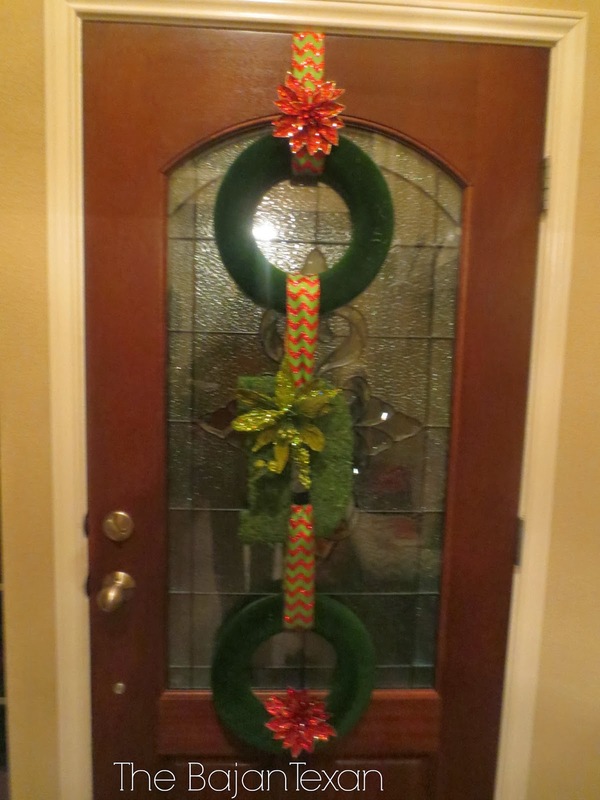 I didn’t want the traditional wreath but I still needed something for the door to balance out the porch. 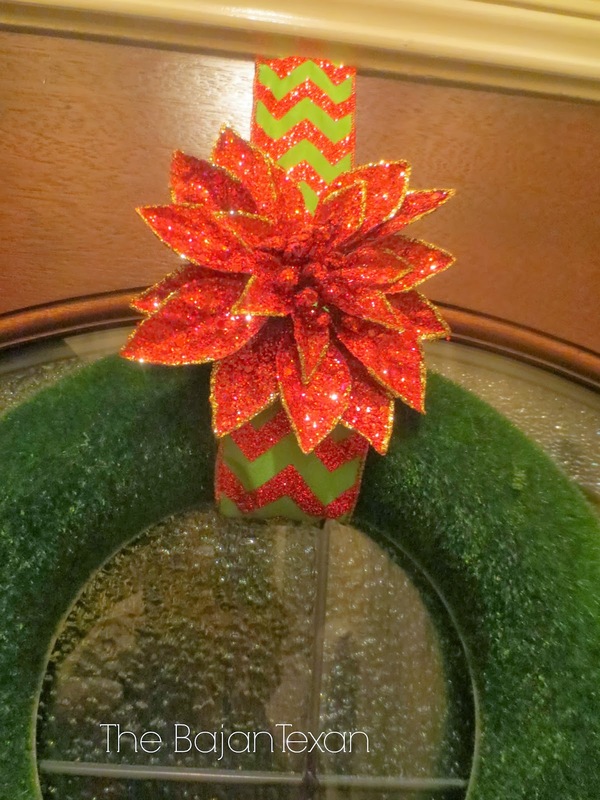 Enter the 3 Tier DIY Christmas Wreath! I found these mini wreath forms at Walmart! 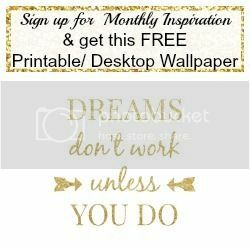 I had never seen them before but I loved the streamline contemporary look and they immediately reminded me of my moss letter (see how to DIY those here). And so the idea was born, I could incorporate our initial in the Christmas door and hang it between two of these mini wreaths. 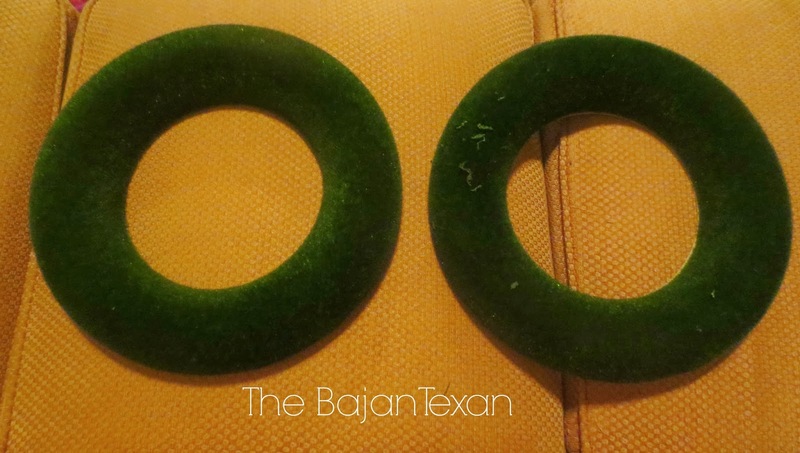 Did I mention the wreathes were $2.50! Score! 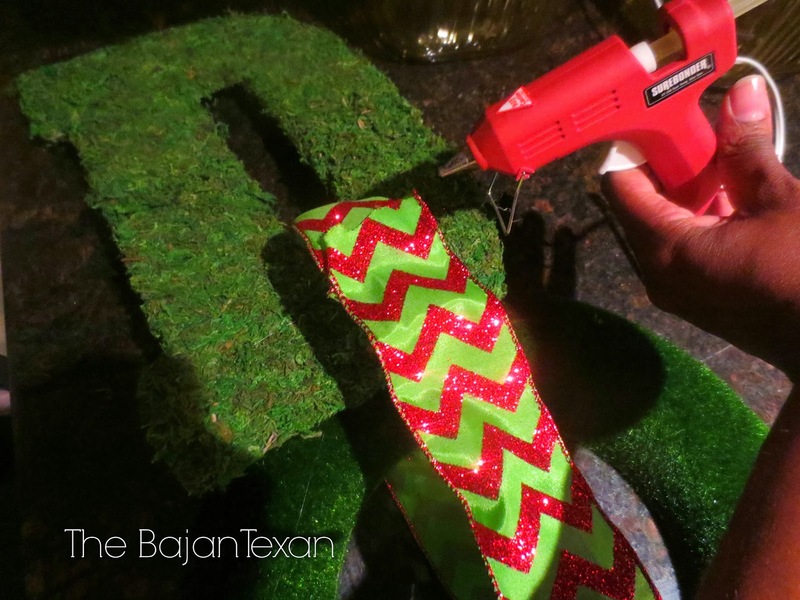 This project is so simple as you need is a moss letter, wreaths, wired ribbon, glue gun and embellishments if you want them. So on with the tutorial! 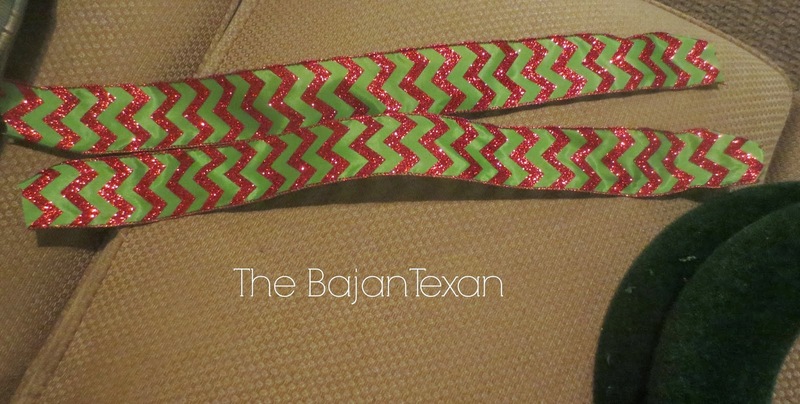 Cut strips of ribbon to your desired length. I played around with different lengths until the tiers were where I wanted them on the door. 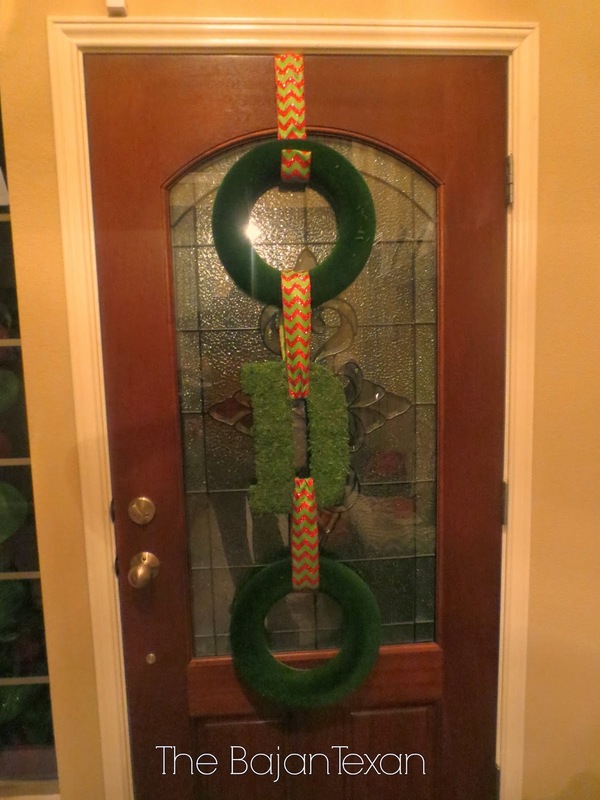 Wrap the ribbon around your wreaths and letter and hot glue the loops together. 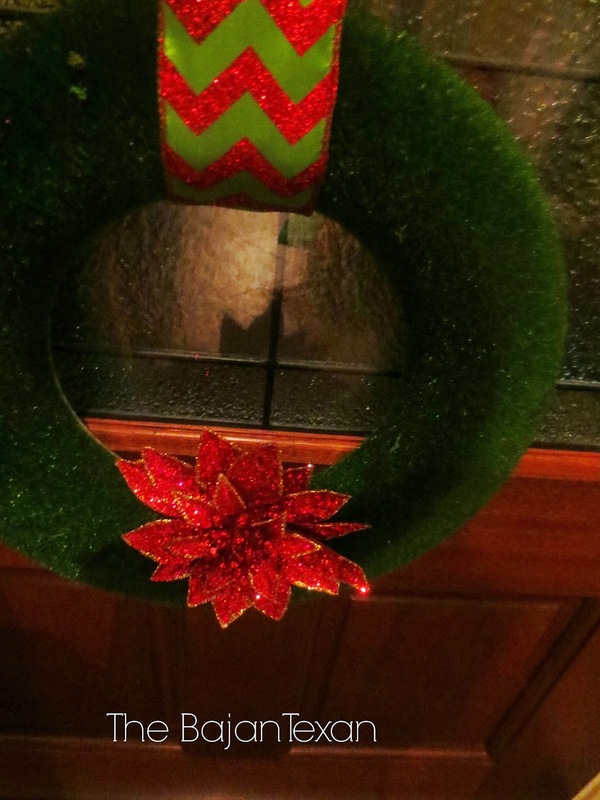 Make sure to put this glued part to the back of the wreath so you can’t see it. 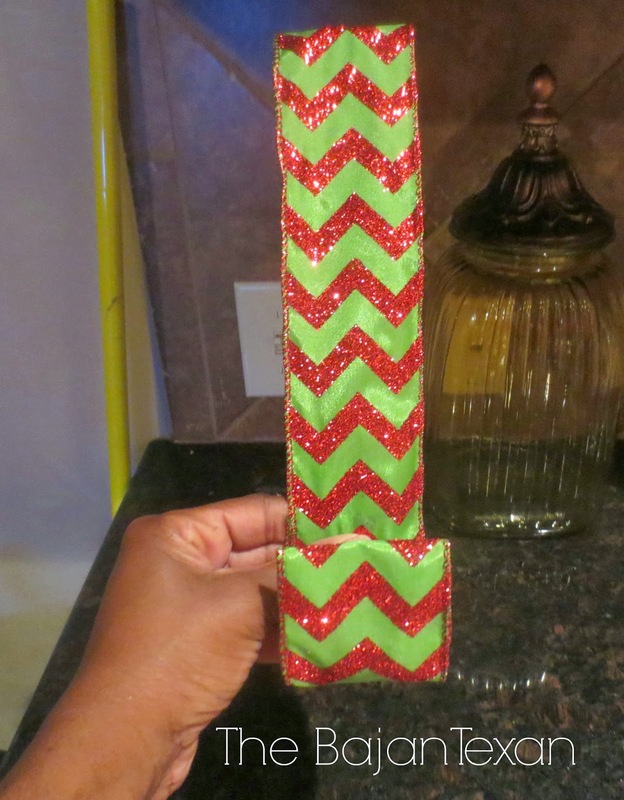 I also wrapped my cheapo door hanger with the ribbon for a cohesive look. 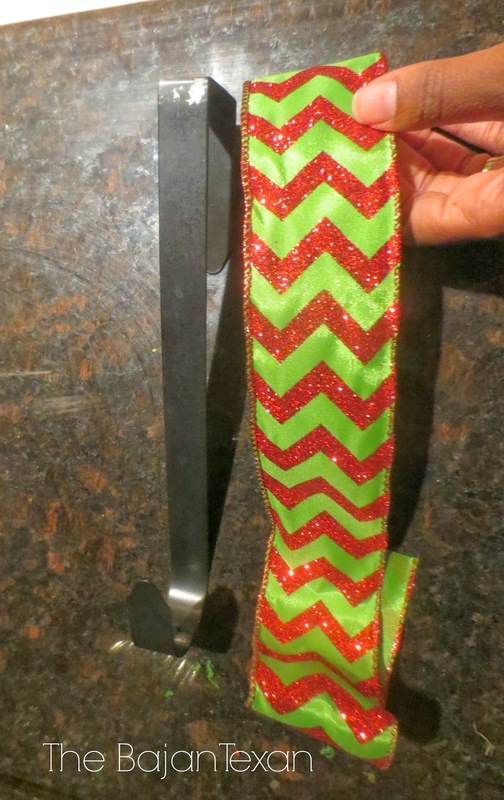 Again I just glued the ribbon right unto the hanger. Put it all together and hang. It was cute but I was thinking some embellishments would really set it off. 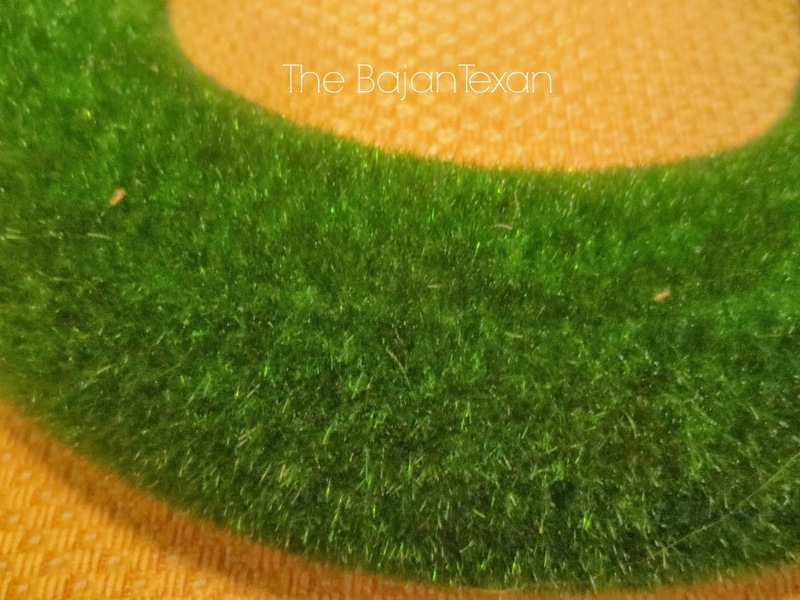 They sure do look nice and I love your moss letter in between. 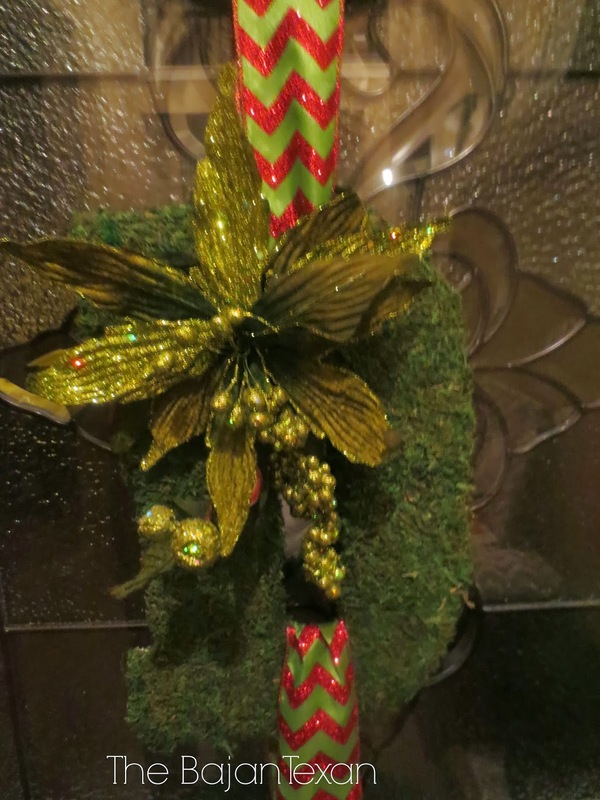 Thank you for sharing this at my 12 Days linky party.